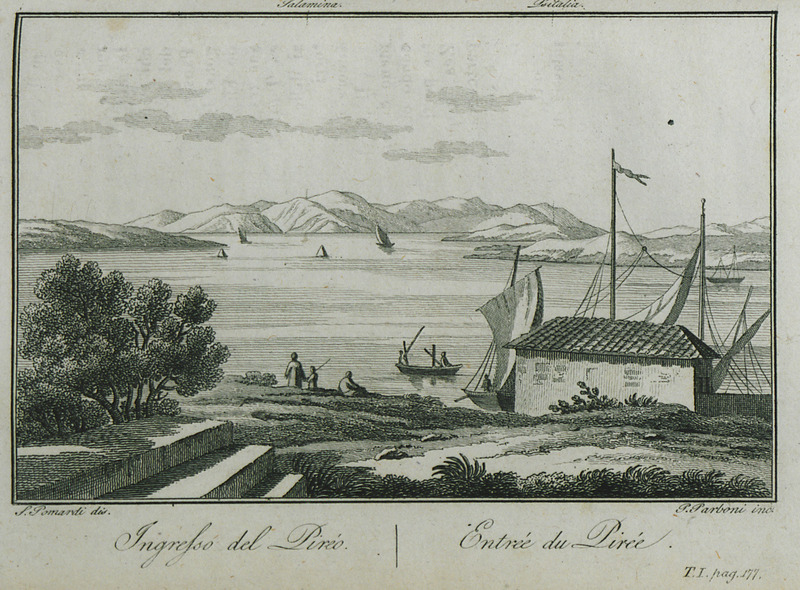 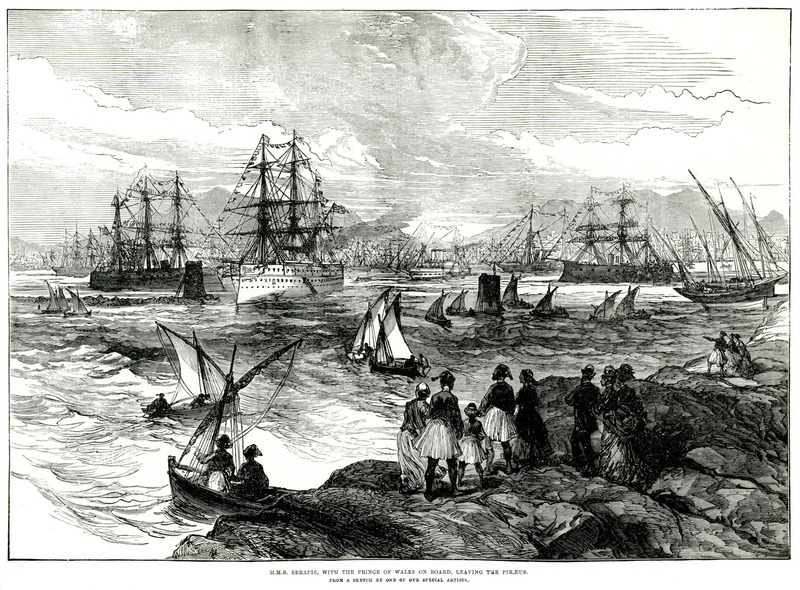 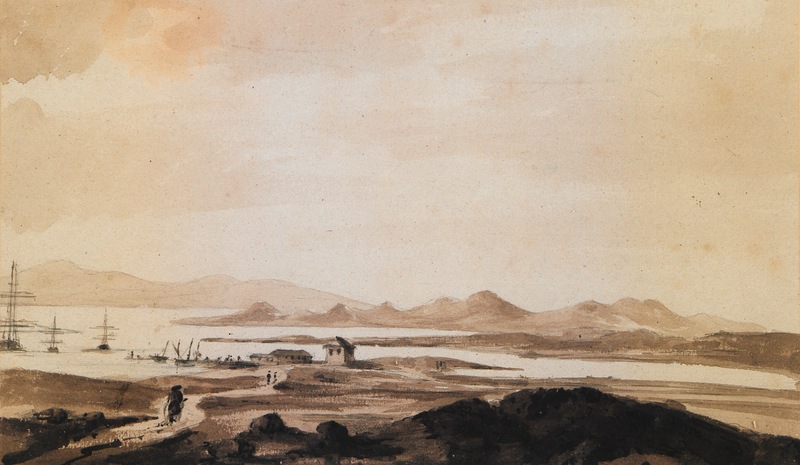 View of the port of Piraeus. 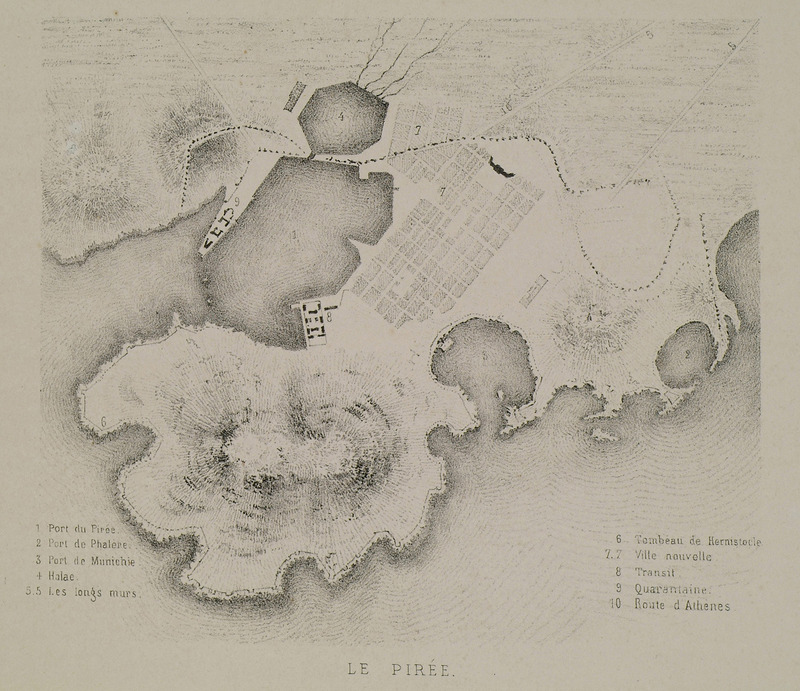 Map of the port of Piraeus. 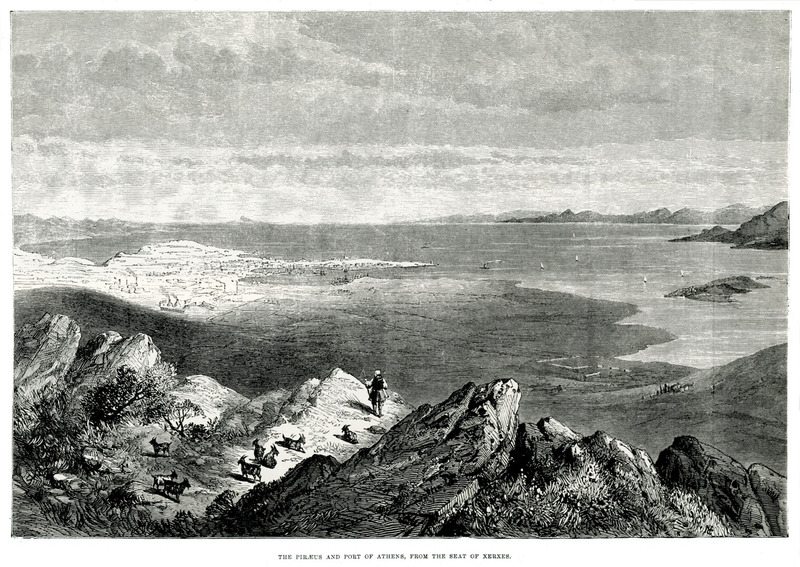 View of the ports of Piraeus, Munichia (today Mikrolimano) and Faliro. 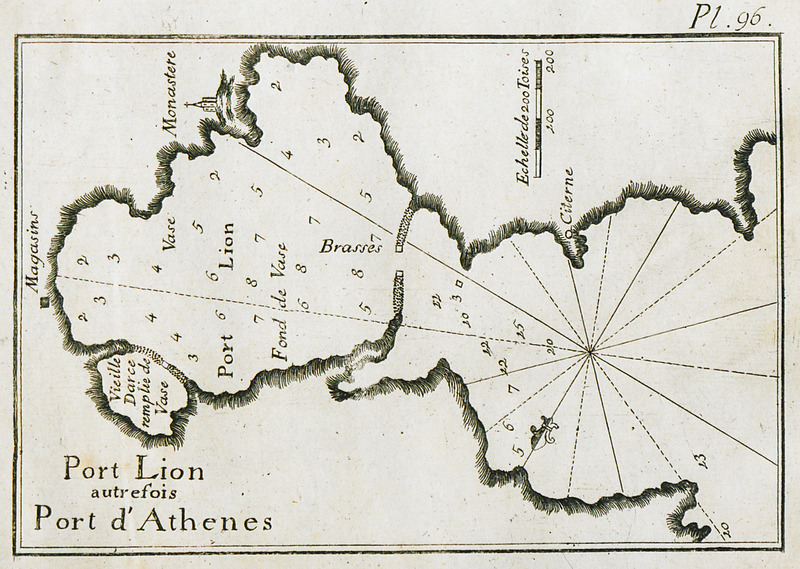 Map of Athens and its environs. 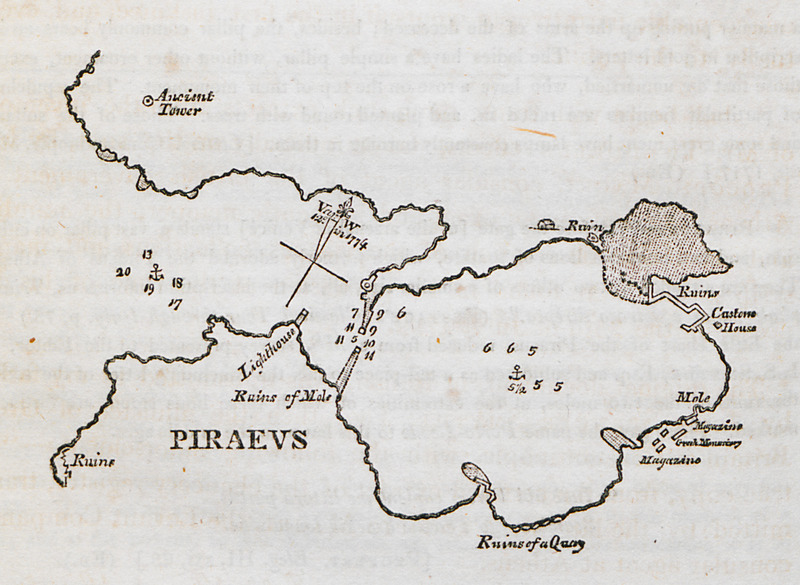 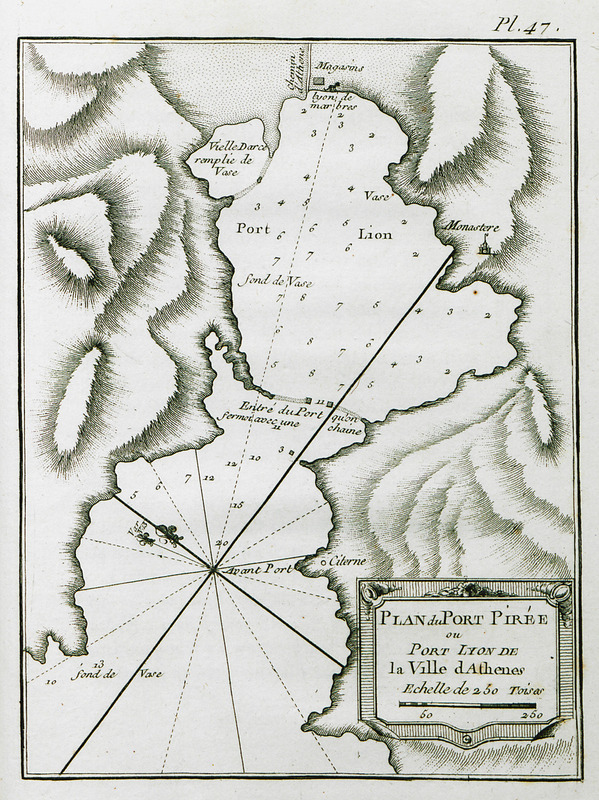 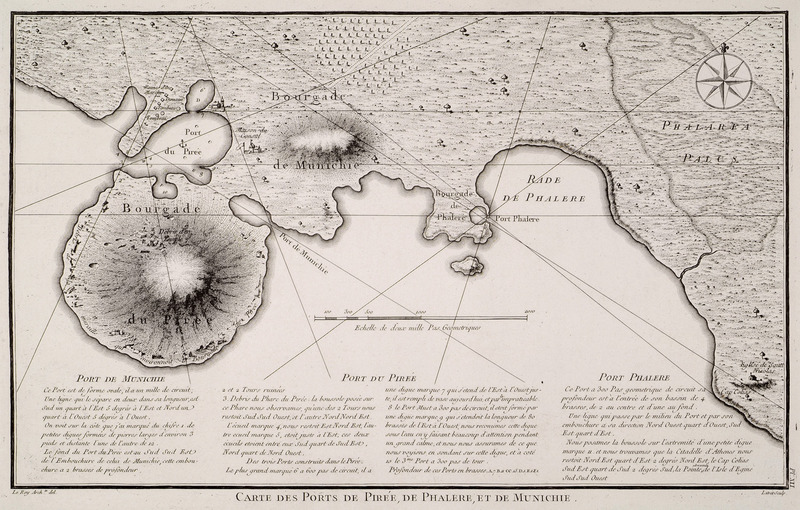 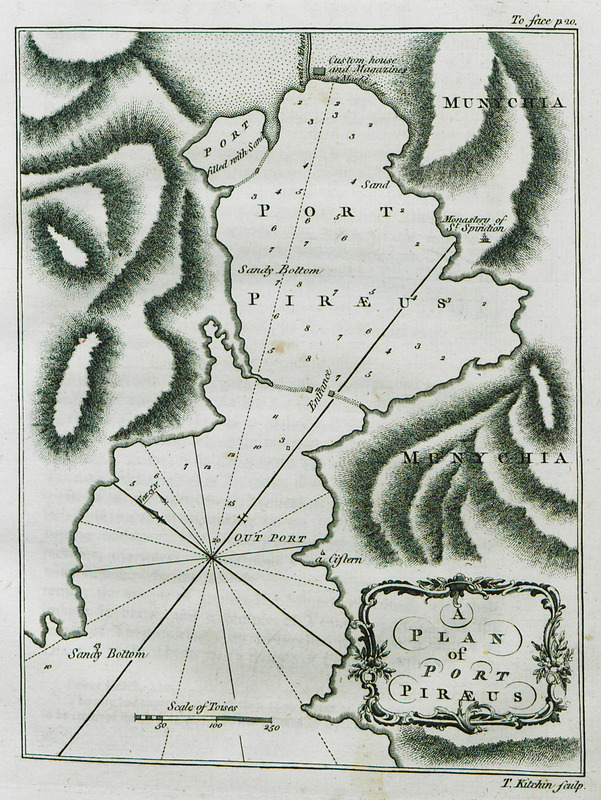 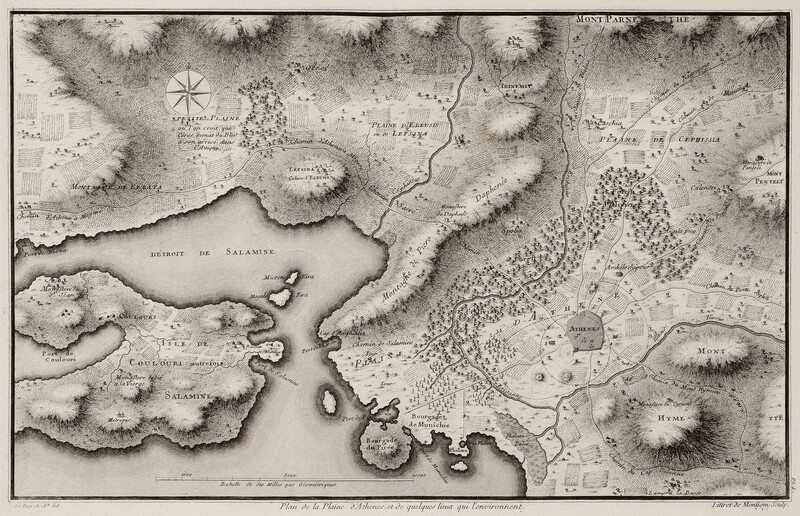 Map of Piraeus, clearly depicting the ports of the city. 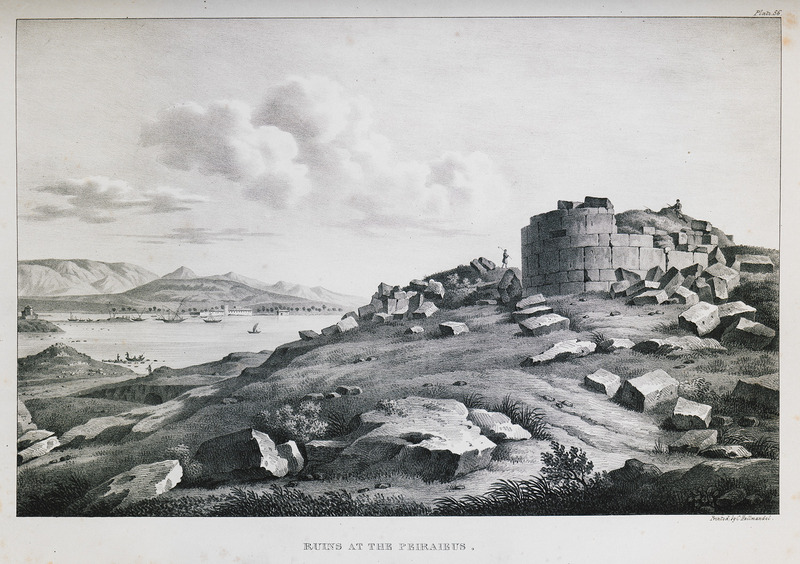 Ancient remains, probably of an ancient tower, Piraeus. 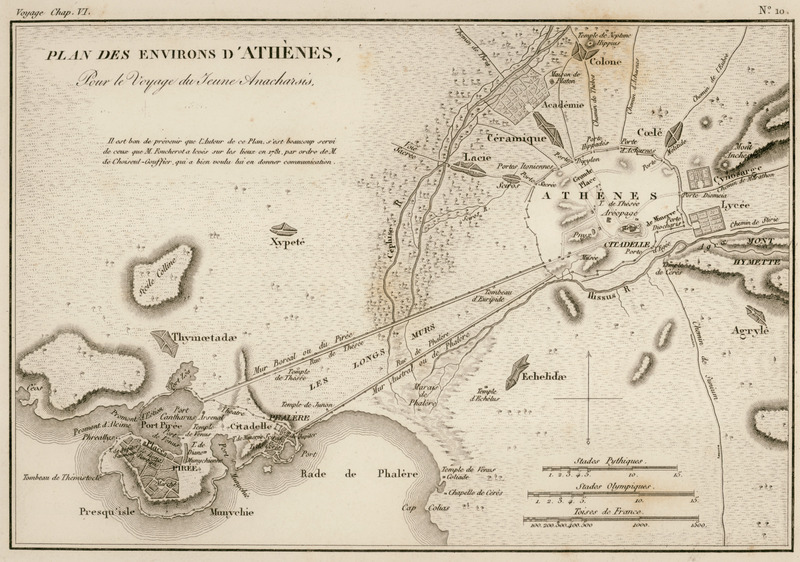 Map of Piraeus and its ports. 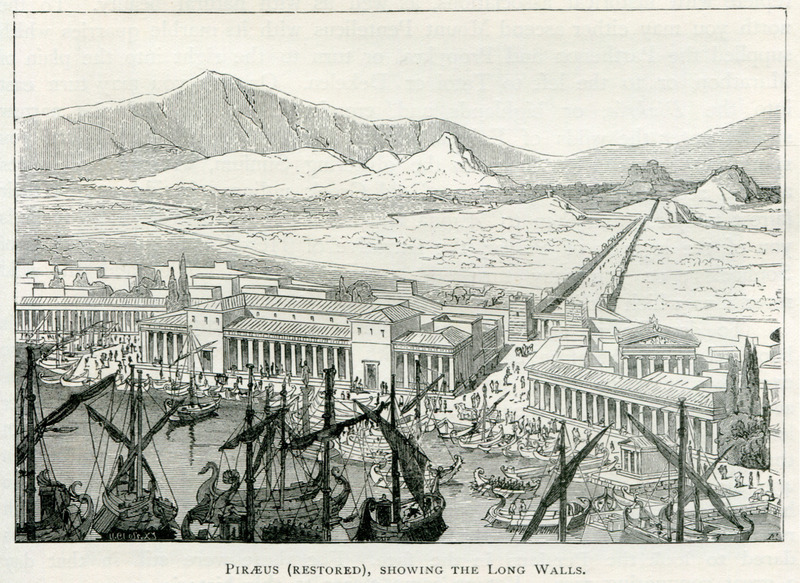 Reconstruction of ancient Piraeus and the Long Walls. 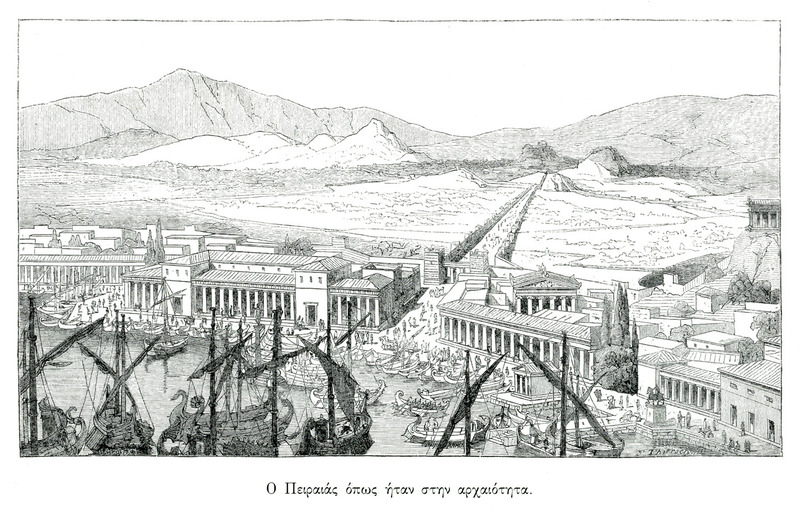 Imaginary reconstruction of ancient Piraeus. 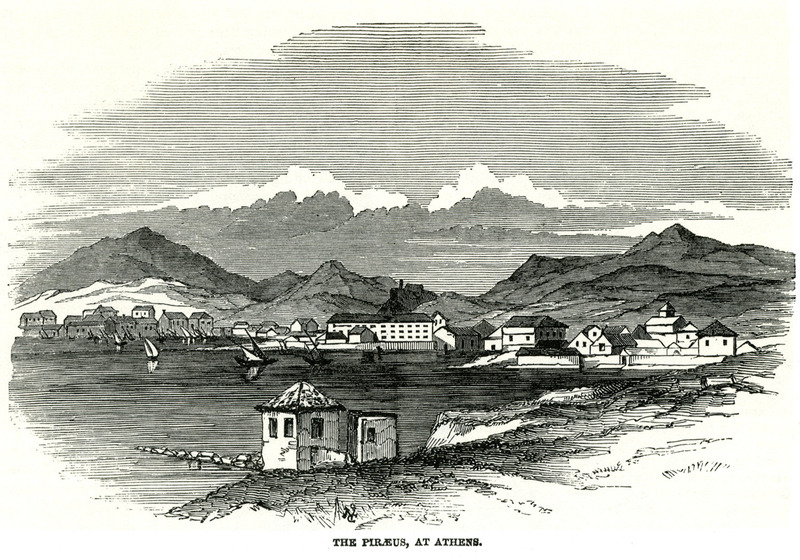 View of Piraeus from the spot called “seat of Xerxes” on Mount Aigaleo. 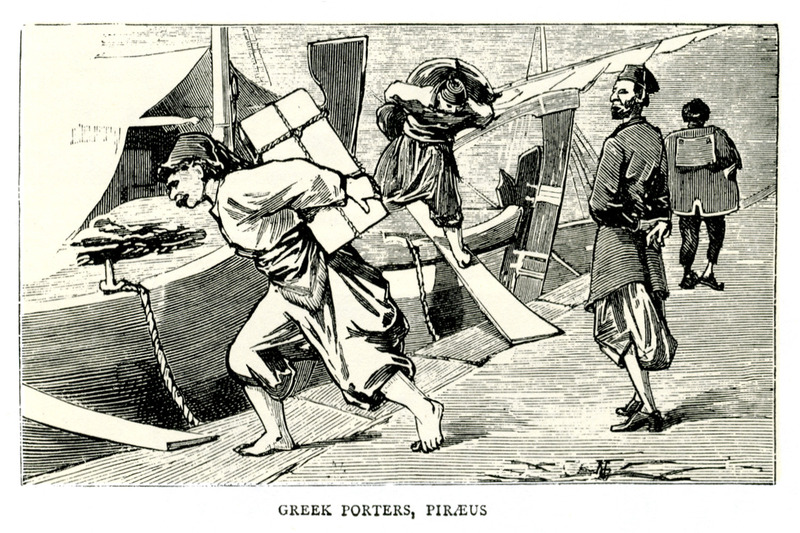 Porters at the port of Piraeus. 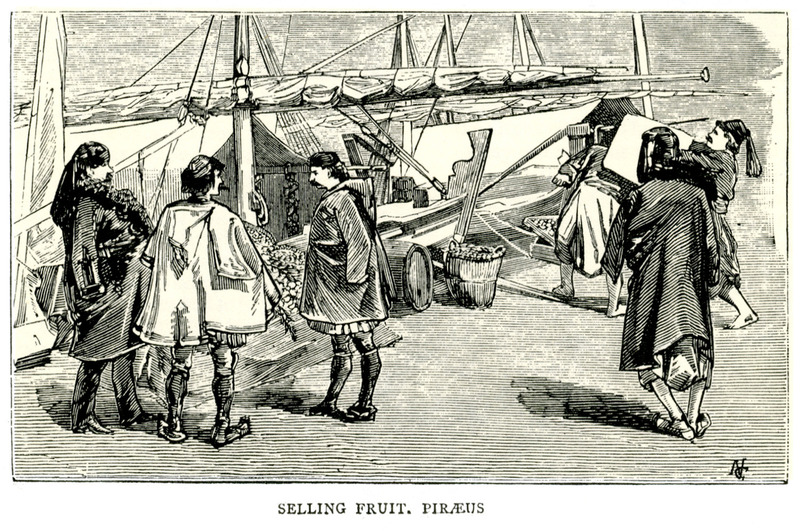 Fruit sellers at the port of Piraeus. 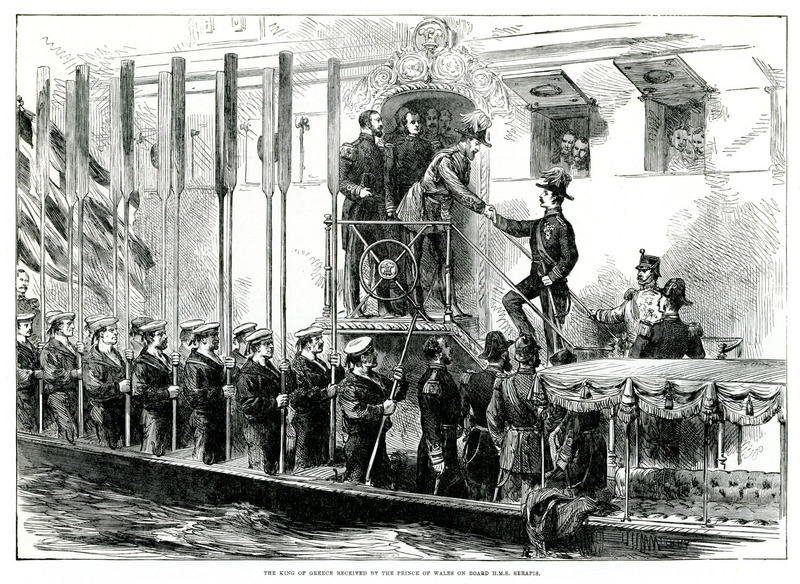 George I and Olga of Greece return to their yacht after an evening gala aboard HMS “Serapis”. 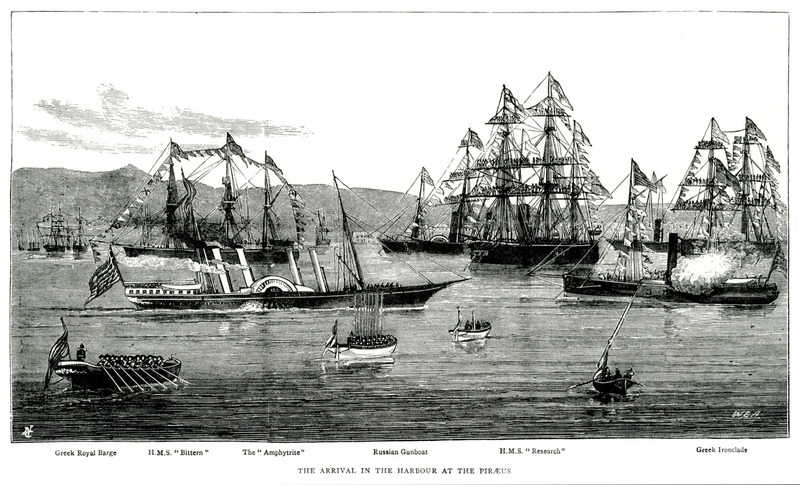 H.M.S “Chanticleer” at Piraeus port.